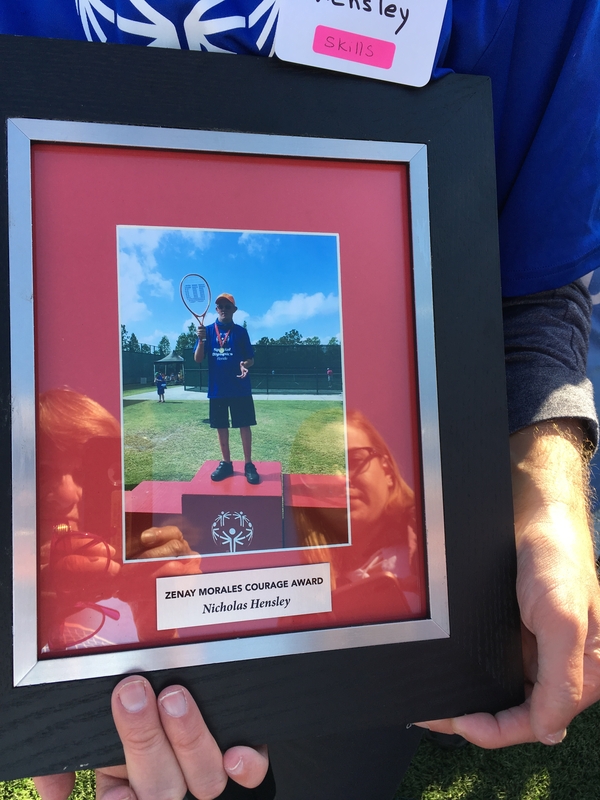 “Nicholas is an inspiration to others,” said Judy Moore, coach at the Brandon Sports and Aquatic Center. 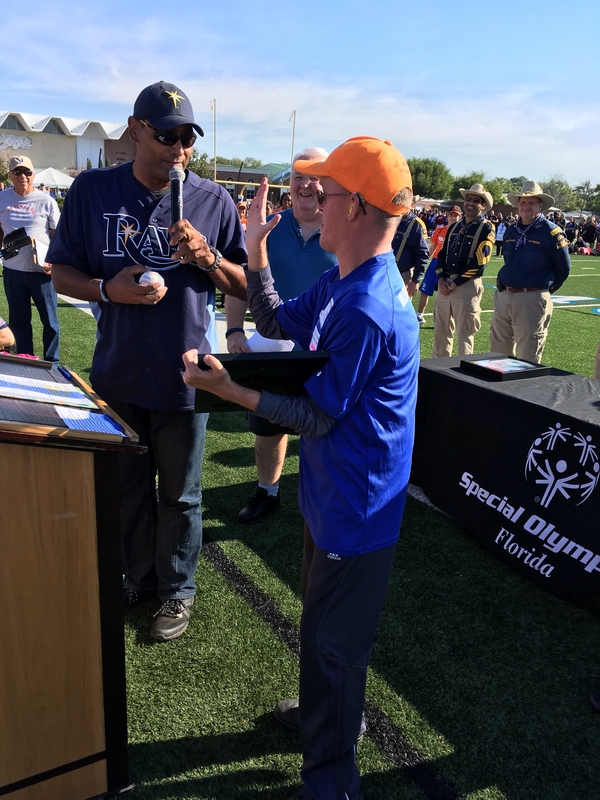 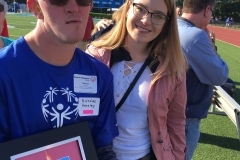 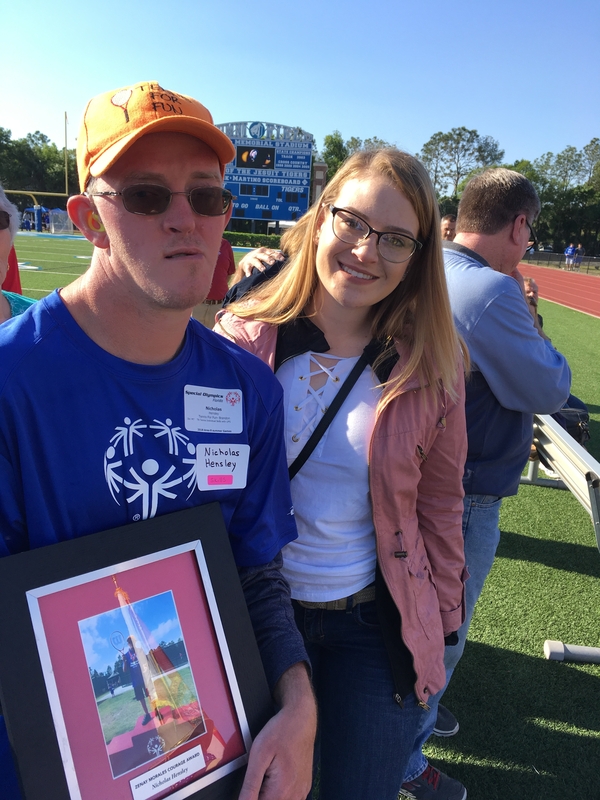 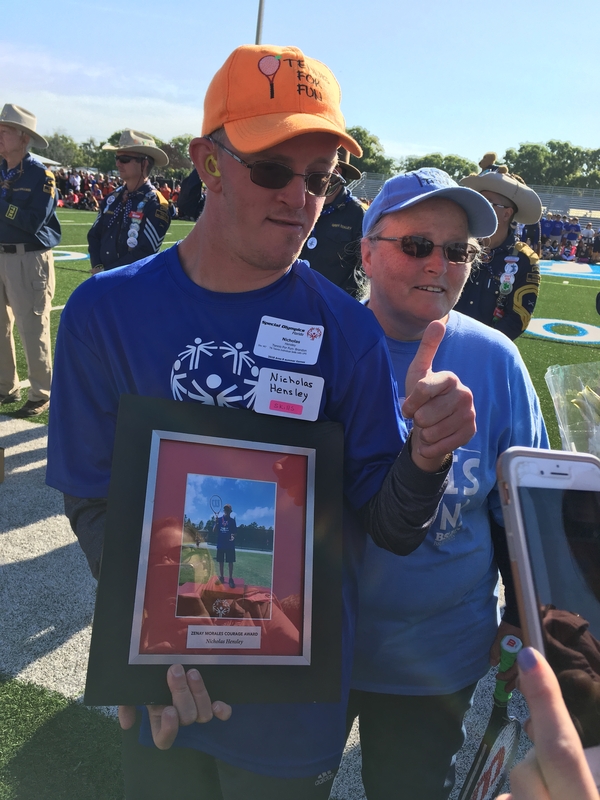 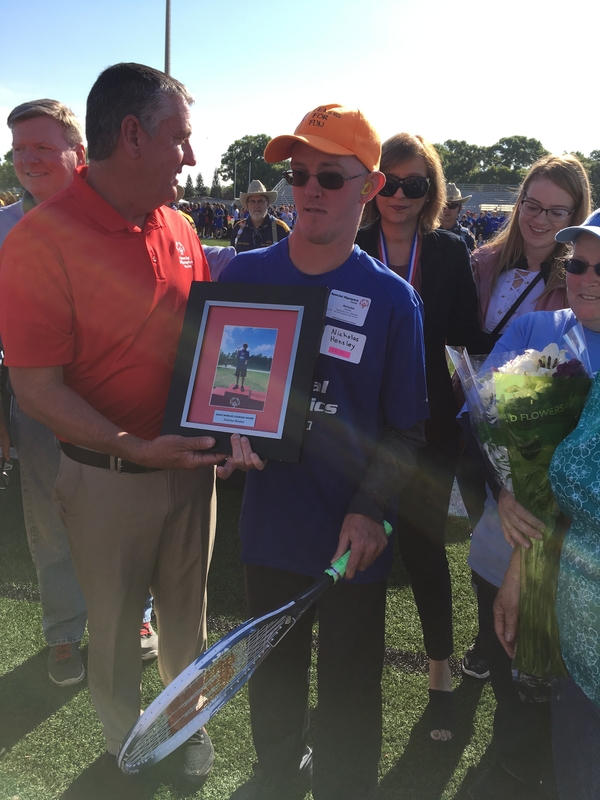 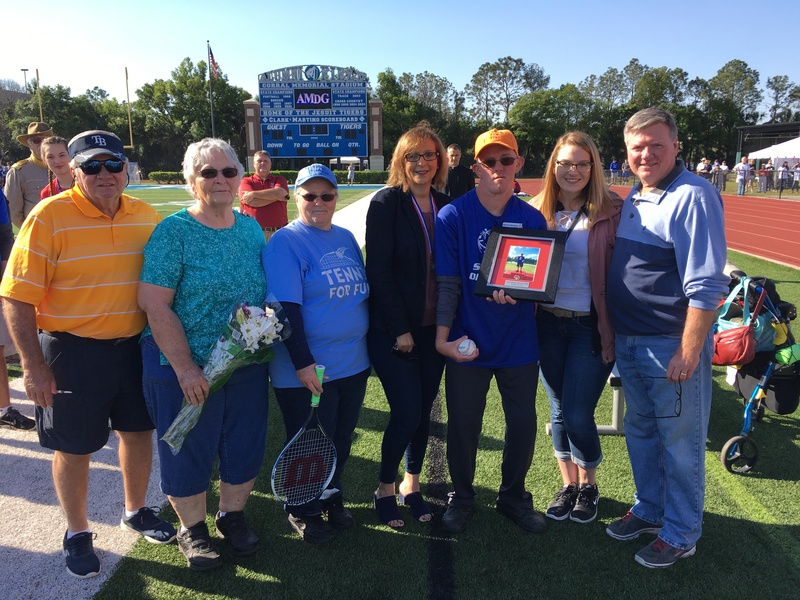 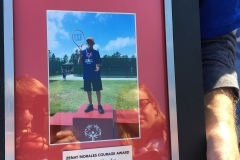 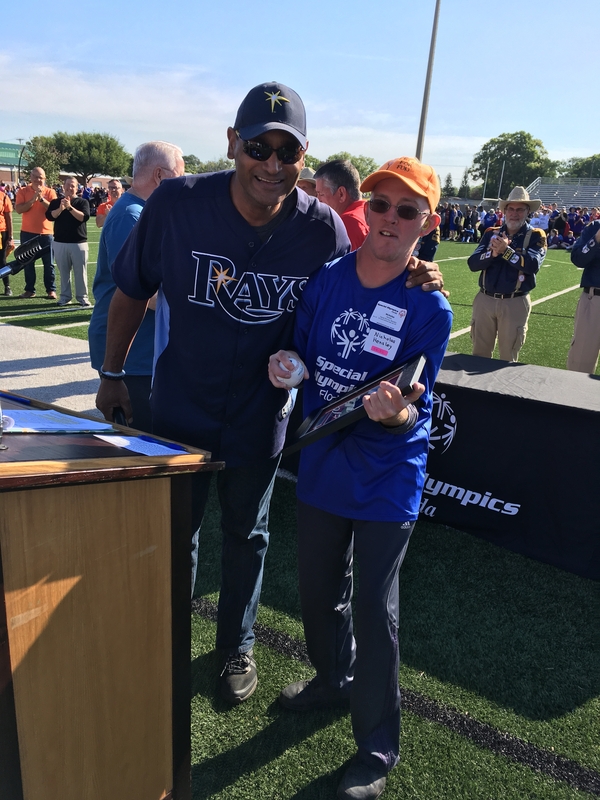 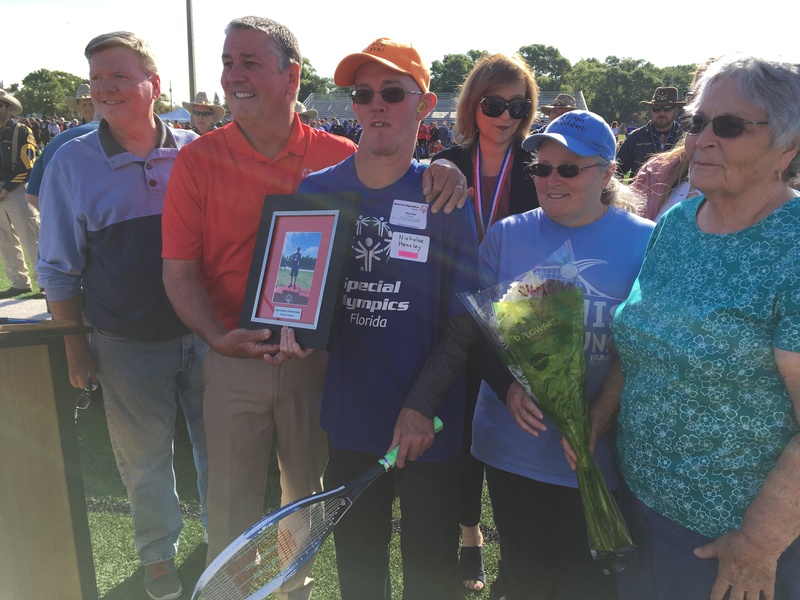 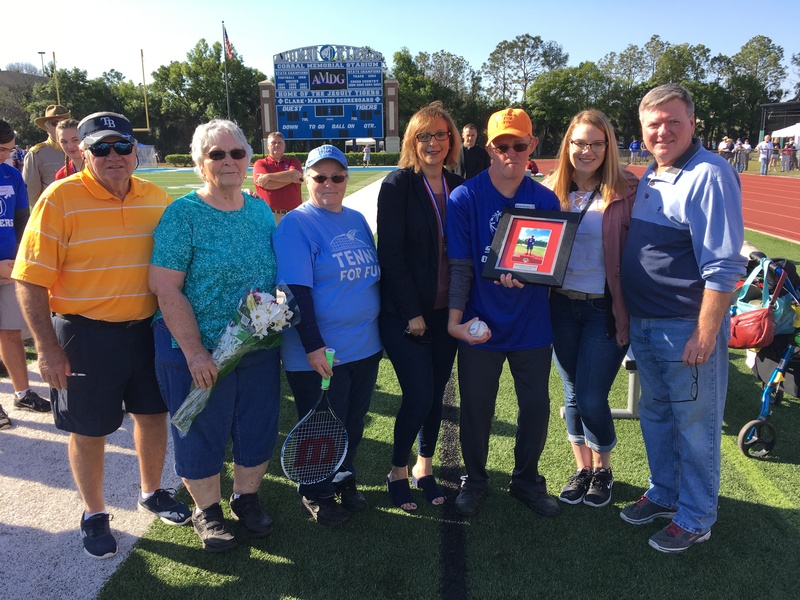 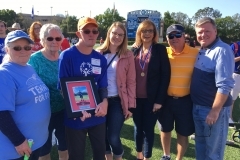 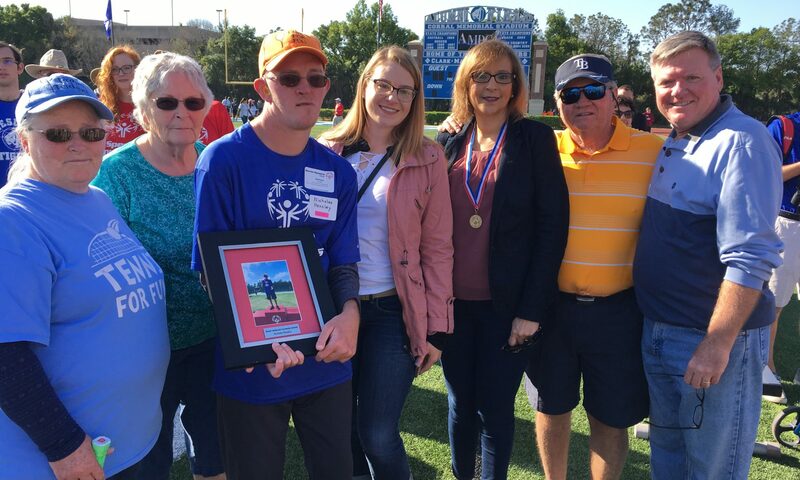 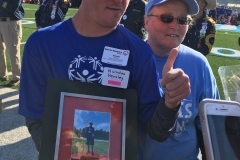 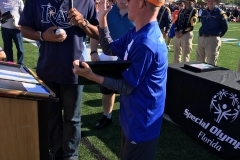 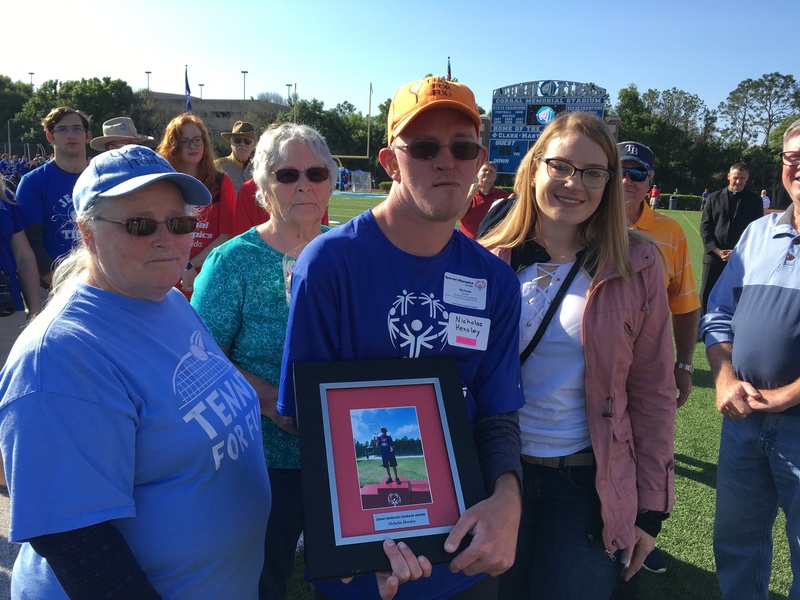 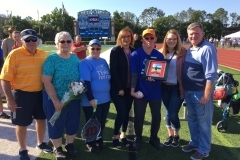 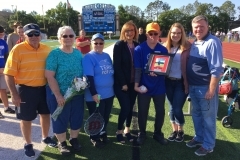 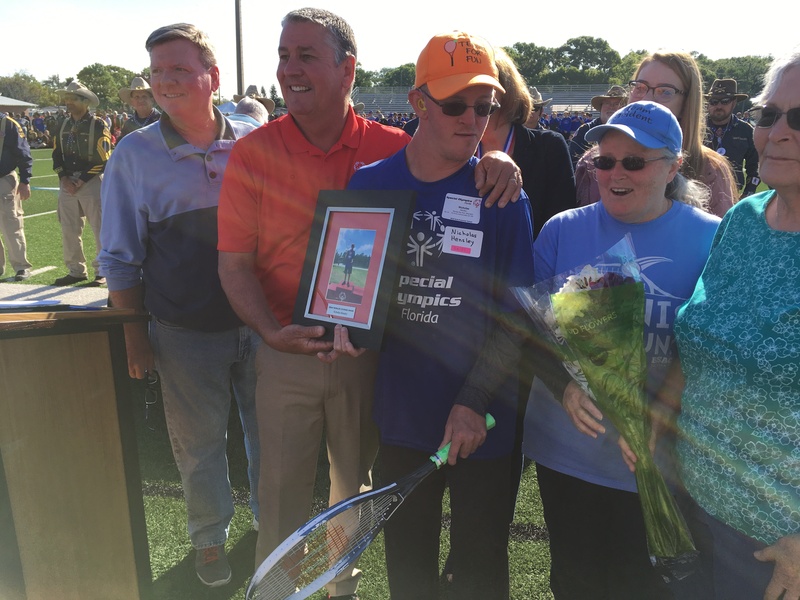 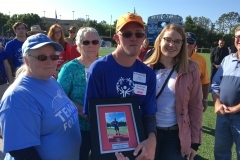 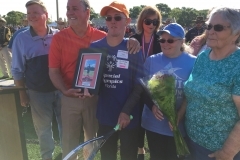 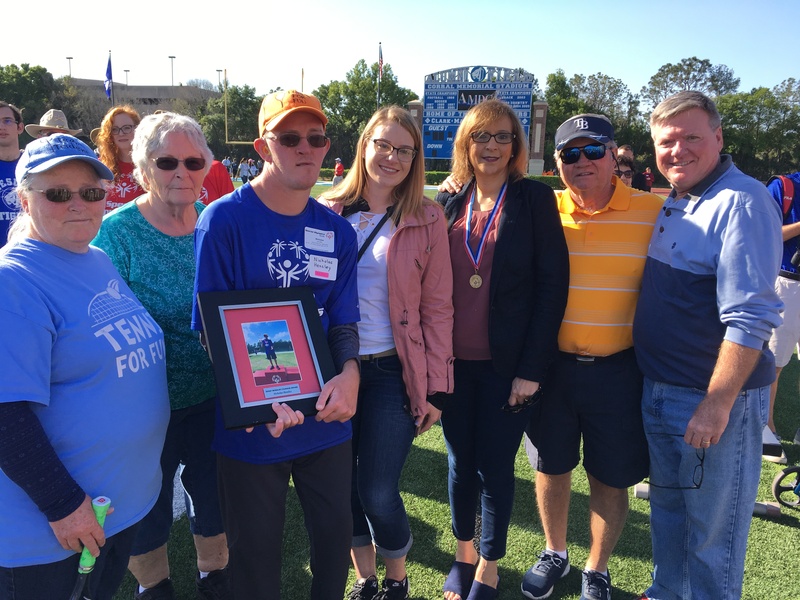 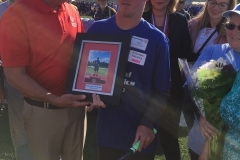 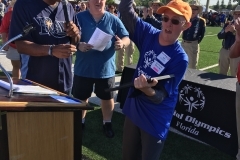 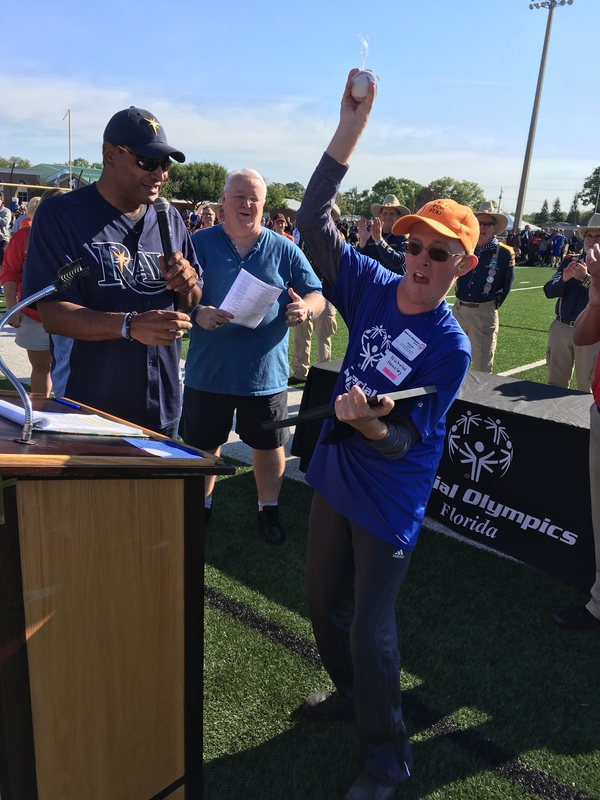 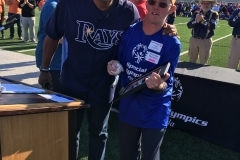 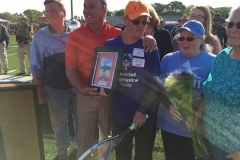 “He displays good sportsmanship, courage and perseverance.” During the opening ceremonies at the recent area Special Olympics at Jesuit High School, Nicholas Hensley was awarded the Zenay Morales Courage Award. 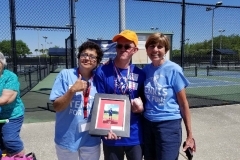 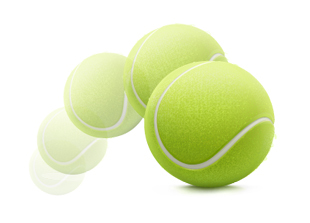 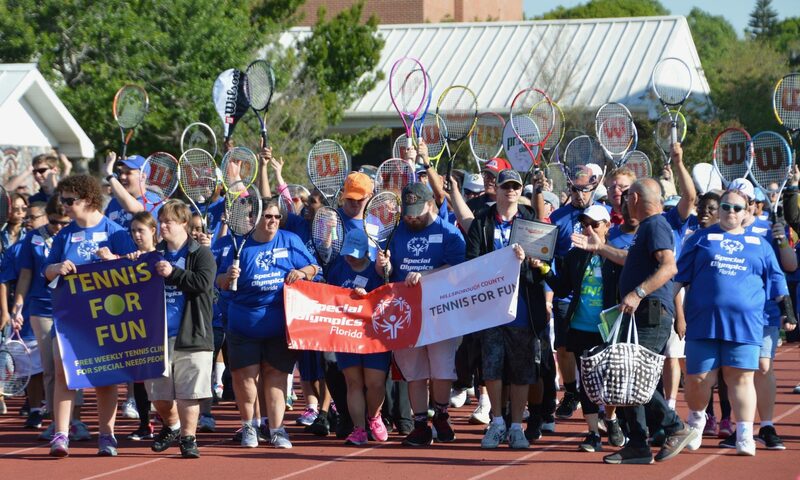 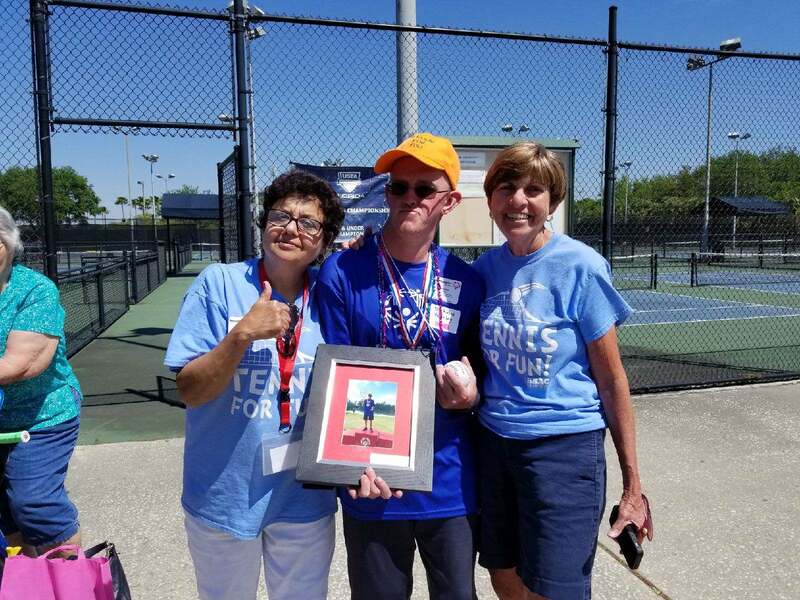 Hensley has been an athlete in the Tennis For Fun program at the Brandon Sports and Aquatic Center for 16 years. 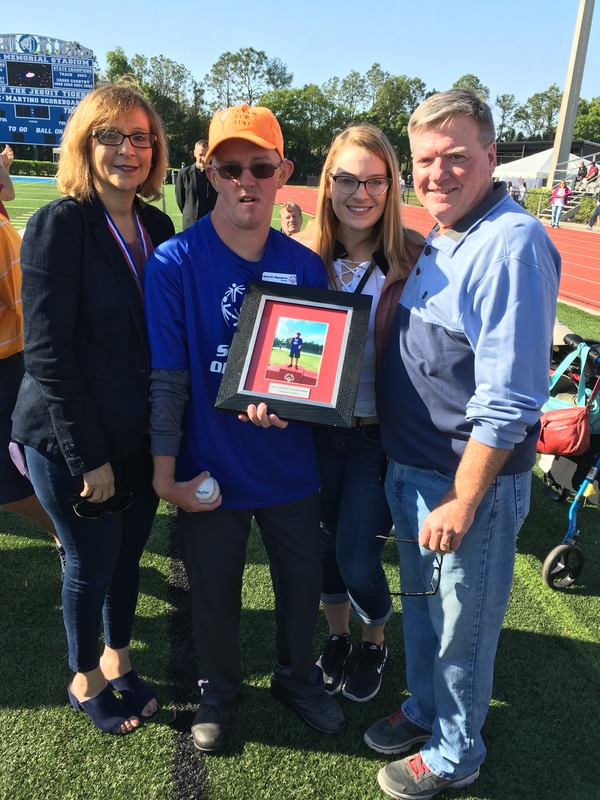 According to his coach, Rosanna Chiaramonte, he has competed in basketball, tennis, swimming, bowling, cycling, soccer and track and field. 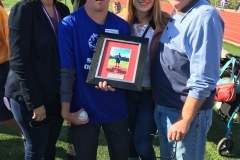 “He has a very great spirit despite not being in good health,” said Chiaramonte.